And it's less than P300! 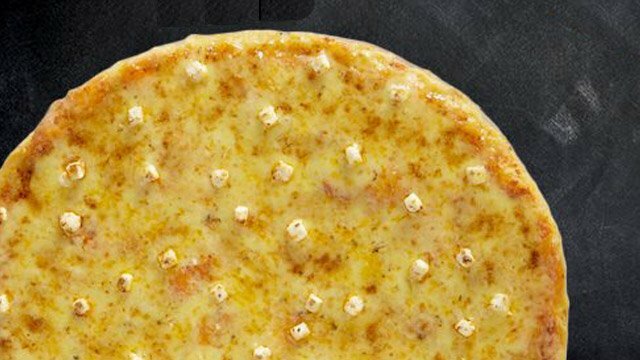 (SPOT.ph) With the massive success of every Yellow Cab unlimited pizza day, it's no wonder the pizza chain keeps bringing the deal back—not that we're complaining. 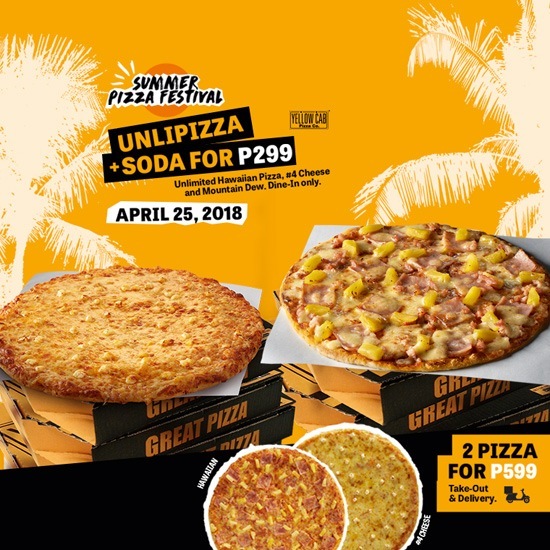 This time, they're hosting another unli-pizza-and-soda feast on April 25, Wednesday for their Summer Pizza Festival. 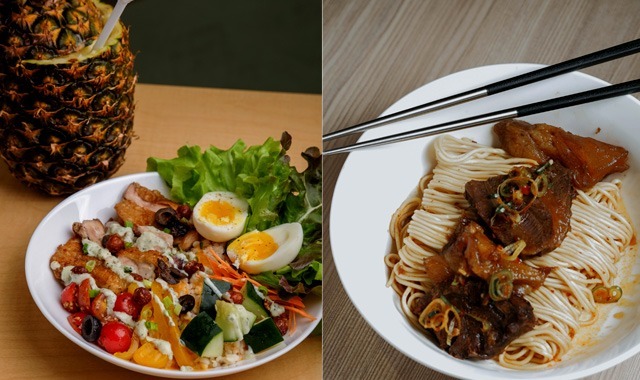 Get your all-you-can-eat fill for only P299. 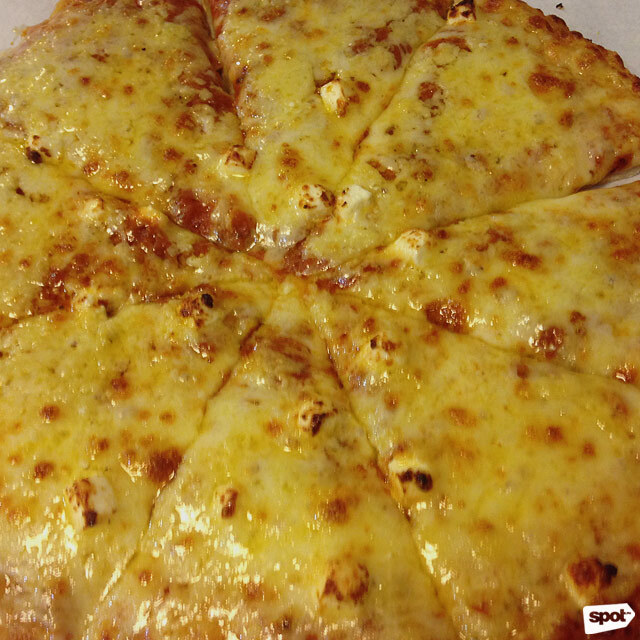 Included in the promo are Hawaiian Pizza and #4 Cheese pizza plus bottomless Mountain Dew. 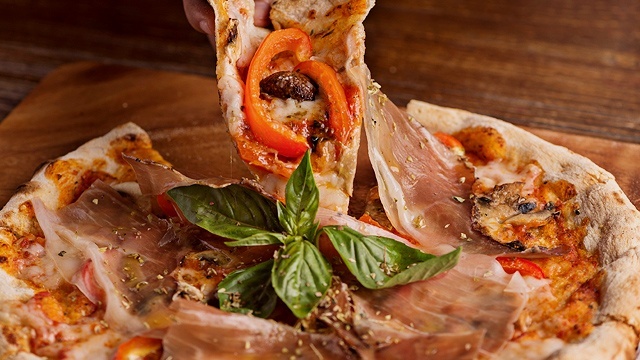 Once again, you only have two hours to stuff yourself so we hope you can eat fast! This promo is available the whole day in all branches except Subic, Camaya Coast, Valenzuela, SM City Marilao, Pulilan, SM City Cabanatuan, SM City San Jose Del Monte, Pandan, Shell Mexico, Kidzania, Starmall Daang Hari, Mall of Asia Arena, and Brent.